Before reading this blog it should be known that I’m not a fan of Microsoft. It’s a gut level dislike. It did not start out that way. Windows 95 and 98 were fabulous and provided control and a vast selection of applications for the time. When the PC came into the office, we were freed from the overloaded and limits of the centralized computer system infrastructure at work. Then something happened and it all that went away due to changes in business practices, PC admin control, and options for available applications. Control shifted to the system administrators, and all applications pointed to Microsoft. Today users might describe the situation with hashtags like #HatesUsers, #Trader, and #Betrayal. At home at least, Windows XP Pro provided good stable functionality. I did not upgrade to Windows ME or Windows Vista due to all the negative reviews by users. I wanted upgrade to Windows 7 but my system was too old (Pentium 4 2.53 GHz) to support the resources that I estimated that are really needed to run effectively. For some reason, Microsoft would not let Windows XP users upgraded directly to Windows 7. You had to upgrade to Vista and then from Vista to Windows 7. I did not want to spend the time to do a clean OS install and re-install all my apps on such an old machine especially when I thought that upgrading to new hardware would occur relatively soon. I’m mystified about the decision making around Windows 8. It has two major problems. First, the lack of compatibility with older programs is really significant and costly. I can’t use thousands of dollars of programs and hardware with Windows 8.1. This programs work just fine so upgrading isn’t necessary. This could explain why so many people and companies refused to move from Windows XP. It’s a huge waste of resources. Second, a new interface could make task more efficient in theory, but forcing user into use a new interface that’s not supported by older hardware used by most users is just nuts. I thought long and hard about running Linux and Ubuntu in particular. Then, I could use Virtualbox for compatibility with my windows XP software and peripherals. Unfortunately, most of all my applications are windows based, and drivers and overclocking tools for the motherboard and associated hardware appear to be written only for Windows. I, reluctantly, opted to run Windows 8.1 Pro 64 bit instead. After using some of the overclocking tools, I think I could run Linux without them by manually setting up the BIOS for the fan and overclocking settings assuming all the drivers are available. I’m not so confident about running MS Office and Adobe CS5, for example, in VirtualBox yet. At some point, I’d like to try a dual book running Ubuntu Linux to explore this in more detail. After selecting Windows 8.1, I thought I would use Windows 8.1 Hyper-v to run a Windows XP in a Virtual Machine (VM) for compatibility with older windows programs and peripherals. It turns out that the Hyper-v is incompatible with Android Studio Virtual Machine (VM). Virtualbox running Windows XP in a VM and Android Studio will both run at the same time without interfering with each other. Again, I can see why people and companies have been so slow to move from Windows XP, because of the cost of throwing away so much good software and hardware is so high and wasteful. Having to upgrade to newer software did not seem to be necessary and does not offer much in value. 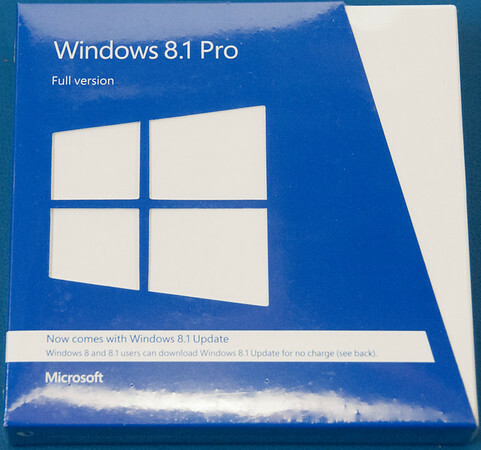 Figure 2 shows the unboxing video of the Windows 8.1 Pro Operating System. Installing Windows 8.1 Pro 64 Bit was straight forward and went smoothly. Windows 8.1 booted and ran, but surprisingly did not have drivers to support all the hardware devices on the motherboard. Next, all the drivers provided by ASUS for the Rampage V Extreme (RVE) motherboard, and the NVIDIA graphics card drivers were installed. After a reboot, the hardware manager recognized all devices. it boots were really fast with the Fast Startup (hybrid boot) features turned on too. Installing my Windows 8.1 compatible applications also was straight forward. Window 8.1 Pro is based on the NT version 6.3. At first, I expected that Windows 8.1 would be vastly different than Windows XP (NT 5.2) based on all the uproar generated by the Windows 8 reviews and user reception, but it isn’t if you avoid the Metro interface. I had no trouble using it once I learned where all the familiar functions were located. Since I missed the Windows 8 release and Windows 8.1 is similar enough to Windows XP, I’ve been pleasantly pleased with the Windows 8.1 Pro 64 bit. I treat the Metro interface more like an attic storage room and only use it when I need to pin an application to the taskbar. It’s a slight announce but very manageable. It seems to be a theme for Microsoft products as they can be full of a lot of little annoyances if you don’t adopt their prescribed work flow. The system and my attempts to overclock it were going fine except that the system would crash randomly for no apparent reason. It really crashed hard too without stopping at the Blue Screen of Death (BSOD) either. Windows 8.1 would report a critical error with event ID 139: 0x139 KERNEL_SECURITY_CHECK_FAILURE. The system would also crash whenever it went into sleep mode as well. I did not know if this was a hardware problem, a hardware problem due to overclocking, or a driver problem. To sort out the random crash, I first I tried running the DDR4 memory at the stock rate of 2133 MHz but the random crashes persisted. I returned to the XMP-2400 memory setting in BIOS and ran MemTest86+ 6.0.0 (version 6.1.0 now available). It took almost 16 hours to run 4 passes through memory. No errors were detected. Next I ran the Prime95 torture test and this ran for about 17 hours without errors. The CPU, RVE motherboard, and memory seem to be fine. to correct the error. This did not resolve the random crashes, however. After installing WinDbg and debugging dump files, it seems that the ndis.sys driver fails because it receives the wrong symbols. NDIS is a system driver for the network interface controller. I updated all my networking drivers, but this did not solve the problem. I found a work around for this problem by all ways leaving my media player on playing music from a local hard drive. The media player keeps the screen saver and sleep mode from activating. It’s not energy efficient at the moment, but the system does not crash. I could have turned off sleep mode perhaps, but did not think of that until recently. Microsoft released an update just recently that fixes the bug that can cause inconsistent network interface data on the system (see KB3055343). Windows 8.1 Pro 64-bit was installed on a 512 GB Samsung 850 Pro Solid State Drive (SSD). I planned to place my user files on the 2 TB Western Digital RE hard drive and use a 1 TB Seagate Constellation hard Drive from another computer for photographs. Since big SSD drives are so costly, it’s a good tradeoff just to run the OS and applications from a smallish SSD drive for speed, and user data from large low cost hard drives. Redirecting the entire C:\User directory to another partition or drive Windows 8.1 gives is not allowed (generates warning message). Websites have reported that doing so will block future windows upgrades (old article may not be accurate). I restored my C:\User directory to its default location and setup the library links to my file on the large hard drives to get my files quickly instead. It’s a bit cumbersome but lets you locate files to hard disk without redirecting the main C\User directory or the active user directories like My Document, for example. Alternately, default active user directories within the User profile can be moved without issue and it’s easy to redirect active user directories for a single user. For systems with a large number of users, the process is tedious because each of the directories must be redirected individually. Windows 8.1 Pro includes Hyper-v which allows users to run a Virtual Machine (VM). I thought that I would run Windows XP in a Hyper-v so that I could run old programs. The i7-5930k processor support Intel’s virtualization technology (VT-x, VT-d, & EPR) in hardware. A Rampage V Extreme (RVE) motherboard BIOS setting enables hardware virtualization. I was able to create a VM for Windows XP using Hyper-v but found that Hyper-v and Android studio VM are not compatible. I disabled Hyper-v and setup Windows XP in VirtualBox VM. Window XP runs very well in virtual box, but you need to be careful about shutting it down correctly. I use the save state each time. I also setup a mapped drive in Windows XP VM that points to a directory on my hard disk. I make backup files and place user files on this mapped drive so that I can access the files without the XP VM running. It also ensures access to these files if the VM every crashes badly. I also found that Adobe Creative Suite 5 update tool will not update CS5 applications when the files are sourced form a network drive. The update tool does not work when it downloads from its web source either. I’m still trouble shooting this problem. My work around is to download the updates manually and place them a local hard drive before installing them. Windows 8.1 Pro 64 bit has been a fast and productive operating system general. Microsoft could do a better job with making the operating system and office applications easier to use for users that don’t follow the normal work flow. Letting users create their own profile for default settings would be a big help in minimizing death by 1000s of annoyances. I don’t work with html files or format much, and like to link objects between MS office applications but the default paste never selects what I want ever, for example. Windows 8.1 Pro event log tracks windows errors and it’s been time consuming to find and fix these. Most of the time there are no suitable solution can be found. Program compatibility between Microsoft and third party applications could be better too. It’s frustrating when MS office and Adobe CS applications don’t play well with each other, for example. I’d just focus on building the best operating system ever. Windows 7: Heads up: Users cannot upgrade to 8.1 Pro if 7 User Profile was moved?